Discover the tropical beauty of Pompano Beach in Florida with a fantastic La Costa Beach Club timeshare resale or rental unit. SellMyTimeshareNow.com offers a fantastic inventory of these desirable properties priced up to 70% off what resort developers charge. What’s My La Costa Beach Club Resort Timeshare Worth? Situated on a 300-foot private beach, you'll watch all your worries slip away into the warm waters of the Gulf Stream when you vacation at La Costa Beach Club Resort. This relaxing atmosphere boasts swimming pools, hot tubs, and coral reefs to explore right off the shores. You also have access to barbeque grills for family cook outs and a Tiki Hut for cocktails and socializing. Minutes away you'll enjoy a wealth of golf, fishing, shopping, and dining options to explore, making for a well-rounded vacation you won't soon forget! 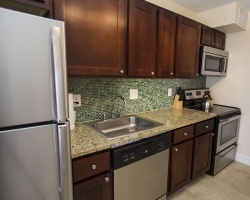 Choose from a studio suite, one-bedroom unit, two-level one-bedroom townhouse, or a two-bedroom unit. All come well-equipped with amenities for convenience and comfort, and many offer pool or ocean views to add to the experience. Features vary by unit, but most have a full kitchen, pull-out sleeper sofas, TVs, full bathrooms, and large living areas. Perfect for couples and families alike, you'll be able to find the perfect suite to fit your vacation needs. 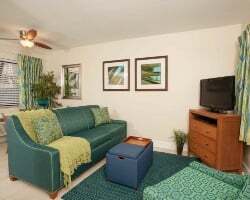 Get ready for a La Costa Beach Club Resort Pompano Beach FL vacation you won't soon forget. Start planning now by filling out the form on the right side of the page or giving us a call at 1-877-815-4227 for further assistance. You can travel to La Costa Beach Club every year without blowing your budget. The resale market is an easy and affordable way to buy a La Costa Beach Club Resort timeshare for a fraction of the retail price tag. Browse the inventory at your leisure and avoid the high-pressure sales pitch. Prices are so affordable because owners are advertising their timeshares based on their individual market value and not tacking on the sales commission, taxes, or hidden fees that resort developers will. This saves you, the buyer, thousands of dollars on the timeshare ownership. 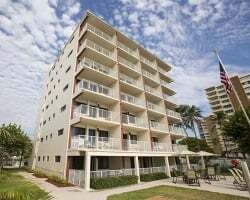 Our inventory of La Costa Beach Club Pompano Beach FL resales features deeded fixed timeshare weeks with annual usage, many within the popular Red season of ownership. Having a fixed week allows you to secure your vacation week of choice for life without ever having to worry about making reservations. It makes it easy to enjoy a lifetime of affordable vacations and ensure you always make time to get away. La Costa Beach Club is also affiliated with external exchange companies if you wish to change up your travel destination! La Costa Beach Club Resort is fortunate enough to be affiliated with the world's leading external exchange company, RCI. As such, La Costa Beach Club Resort timeshare owners can purchase an affordable, annual RCI membership to gain access to their extensive network of affiliates and partake in their comprehensive exchange services. Once you're a member, you can deposit your La Costa Beach Club timeshare week and exchange it for a vacation at any of the thousands of resorts within RCI's vast and ever-growing portfolio of properties. RCI is only affiliated with the best, most high-quality resorts, ensuring all their members enjoy fantastic vacations every time. La Costa Beach Club is also an RCI Silver Crown rated resort, giving owners here a higher trading power when exchanging through RCI. Another leading external exchange company, Interval International also has La Costa Beach Club Resort as an affiliate in its network of luxury vacation ownership properties. Like RCI, La Costa Beach Club Resort timeshare owners can purchase an annual membership to utilize Interval International's member exchange services. Whether you want to buy an RCI membership, Interval International membership, or both, you'll have thousands of incredible vacation exchange options. These companies make it easy and affordable to travel the world and in turn, making the very most of your timeshare ownership experience. Unwind and relax on the private beach of La Costa Beach Club Resort in Pompano Beach. This resort offers plenty of great amenities to enhance your stay including three pools, two spa tubs, a Tiki Hut, and barbeque grills. The private beach area also features tropical coral reefs to explore on a snorkeling adventure. 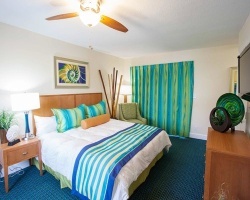 Pompano Beach offers a wide range of attractions and activities that the whole family will love, including Coconut Creek Casino, Festival Flea Market Mall, Butterfly World, Pompano Beach Golf Course, and Founders Park. Fantastic dining options are just minutes away, with must-visit restaurants being Sea Watch for seafood, Gianni's Ristorante for Italian, and JB's on the Beach for classic American. With Boca Raton and Fort Lauderdale nearby, you'll never run out of things to do and see along Florida's Gold Coast! Already Own at La Costa Beach Club Resort?